Pakistan is a country of dichotomies. Arid and semi-arid climate contrasted with lush, fertile valleys. Wealth and extreme poverty. Educated women, like I Support the Girls Affiliate Director Sara Asif, and the impoverished, marginalized women to which she provides products and education. Sara has a background in clinical psychology and counseling. Before staying home with children, she worked counseling young people on how to contribute to society, good touch/bad touch, decision-making skills, life skills, and goal setting. After deciding to stay home with her two young children, Sara saw ISTG Founder and Executive Director Dana Marlowe being interviewed on the news in July 2016. “I was very astonished and I was very happy. 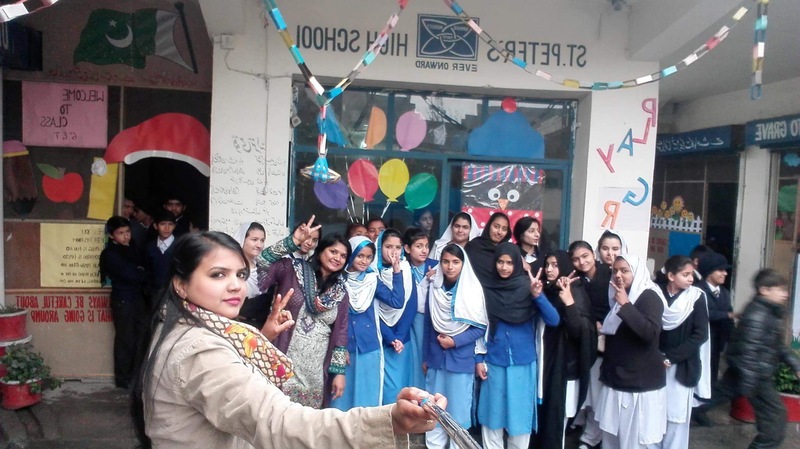 I emailed her….There are so many organizations here in Pakistan working on education, or women’s domestic violence, but no one was working on the female space giving out free bras or free pads.” After the initial contact, Sara and Dana worked in tandem to identify the community needs and determine how Sara could help the most. Throughout the interview, Sara mentioned one ongoing challenge repeatedly. “There is no concept of charity or care here…It’s very difficult for me to ask for [these products]. 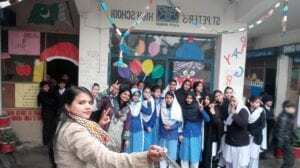 In Pakistan, I’m working with marginalized peoples, giving them free products…Nobody helps me.” Without a culture of giving and charity, where common practice is disposal instead of donation, it has been hard to secure items to distribute. ISTG has mailed several shipments to Pakistan. But after some leg-work on Sara’s part, she determined that the most cost-effective way to obtain menstrual hygiene products is to purchase them in bulk in-country, as opposed to shipping. This means a financial contribution sent to Pakistan results in significantly more products being available to women who need them. Sara doesn’t just distribute products. 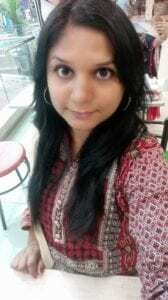 She teaches sessions on hygienic methods to use and discard period products. She shared that most women in these sessions are unaware of basic hygiene practices, have never used a disposable pad, and often use only one torn cloth over and over. Sara teaches them about disposal – how it’s not sanitary to just throw a dirty cloth or pad in the street, or out in a dump. It’s necessary to wrap them in a shopping bag or newspaper and burn them to prevent the spread of disease. Without a sanitation system to take trash away, the used products just fester on the ground. The communities Sara works in do not have trash services, and most of the women cannot afford bras, pads, or underwear. 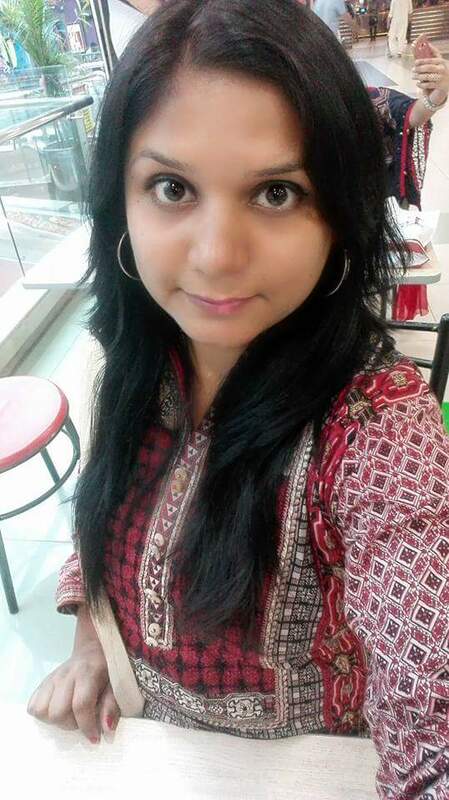 Periods and menstruation are a taboo subject, and typically Pakistani women become very embarrassed when they have their period, Sara explained. She is working to change that taboo. She has a very supportive family, where she was able to tell her father when she first got her period, and her husband accompanies her to her sessions, carting bags overflowing with pads and bras. There is much potential for ISTG-Pakistan to have a huge impact on the lives of many women and girls. Sara’s dream is to have a steady supply of products, so she can answer all the requests she gets. In an ideal world, she would like to supply school washrooms with boxes that have pads in them. This way girls wouldn’t have to ask their teachers, and are able to continue to attend school. When asked what is the biggest challenge she faces, Sara replied, “Not having donations. They always ask when will you come the next month? And I don’t have any products…They are recycling their pads if I don’t have products.” Currently, Sara is able to serve several communities, but her goal is to take her work nationwide. And that is the harsh reality. They will always have their periods. The women and girls who are shunned during their cycles, and struggle to make it to school or through their day will continue to struggle. Sara is doing incredible work serving underserved, marginalized communities outside the capital of Islamabad. But there is always more work to be done, more need. And monthly cycles come every month. Sara Asif is the Affiliate Director for Pakistan. She has a BS in Psychology with a degree in Clinical Psychology. Sara loves to write in her diary and spend time with her family.